Tradtional and powerful. 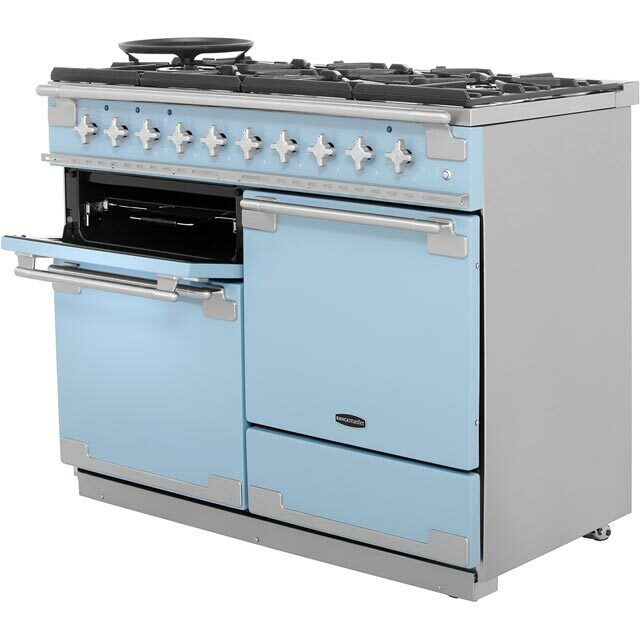 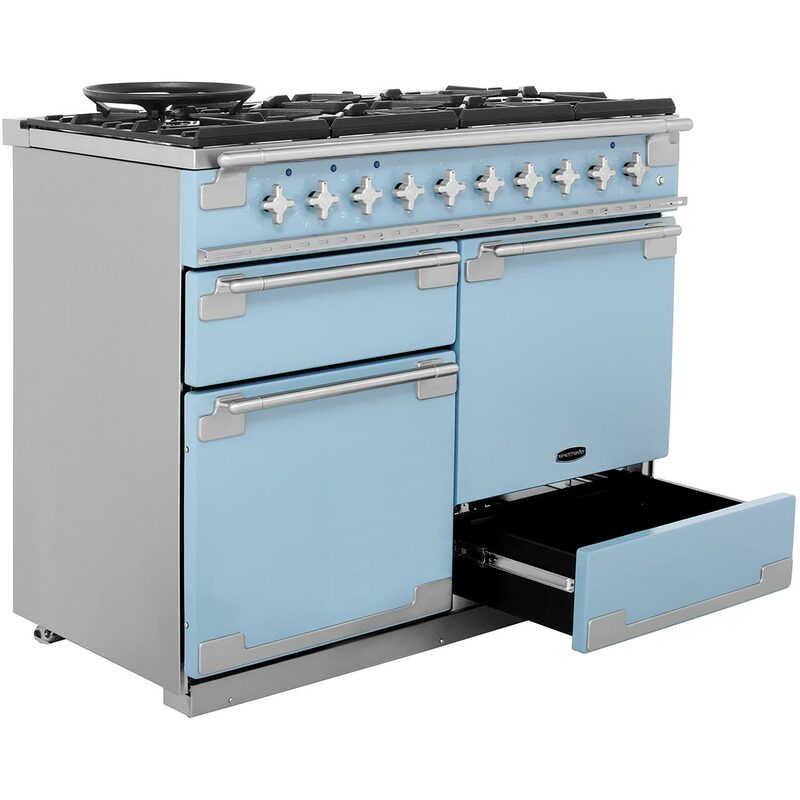 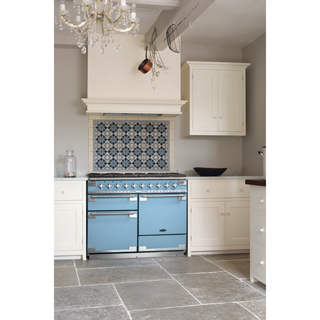 The ELS110DFFCR dual fuel cooker from Rangemaster will certainly make a style statement in your kitchen with its traditional cream finish. 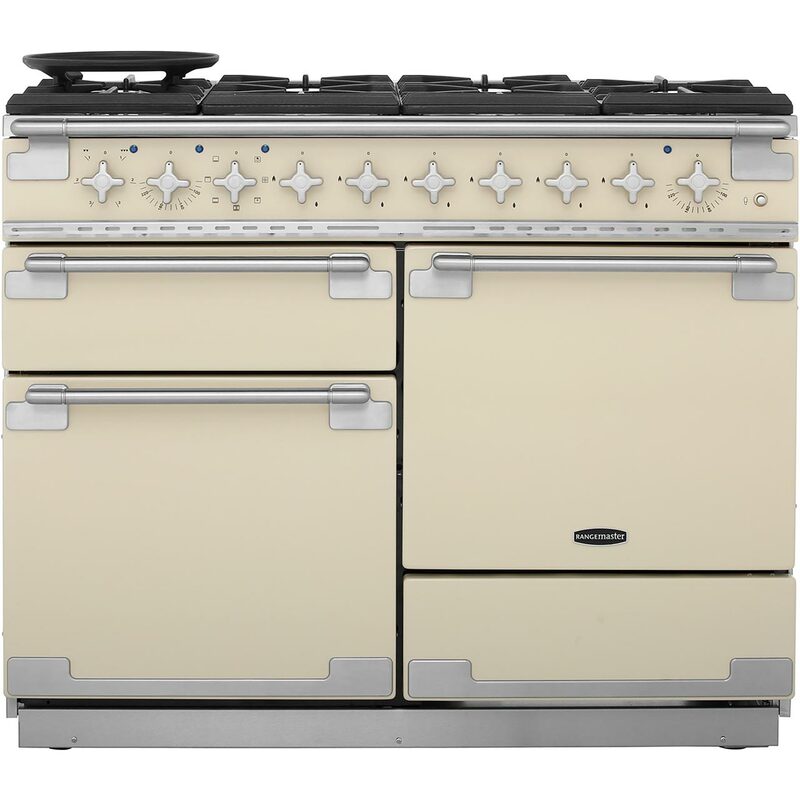 It’s not just a looker though, it’s packed full of features and there’s ample space inside. 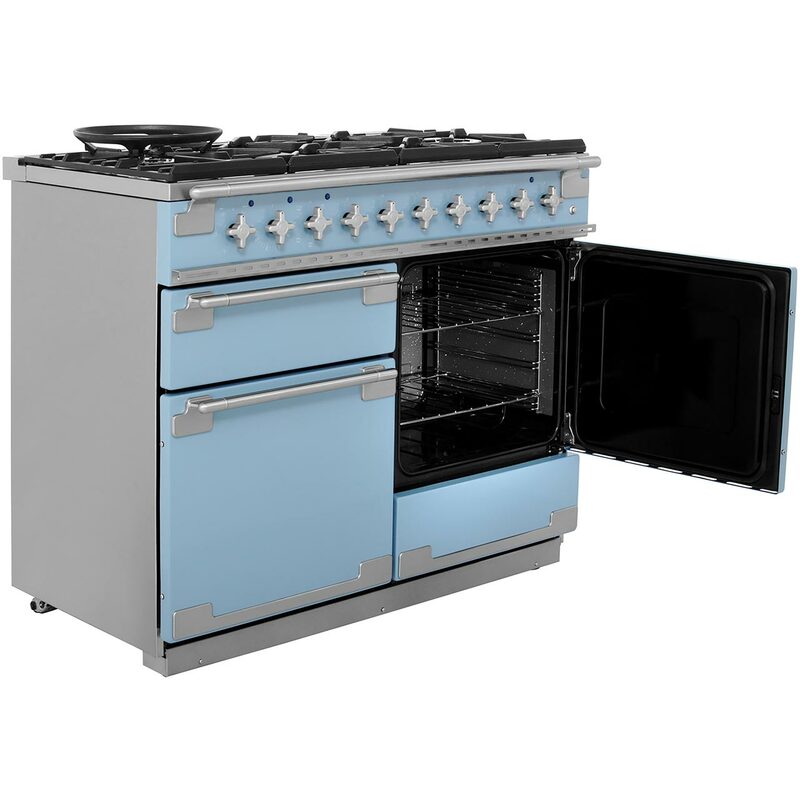 Both ovens boast 69 litres of space and the main oven is multifunctional so you can choose from a number of cooking methods including an option to defrost. 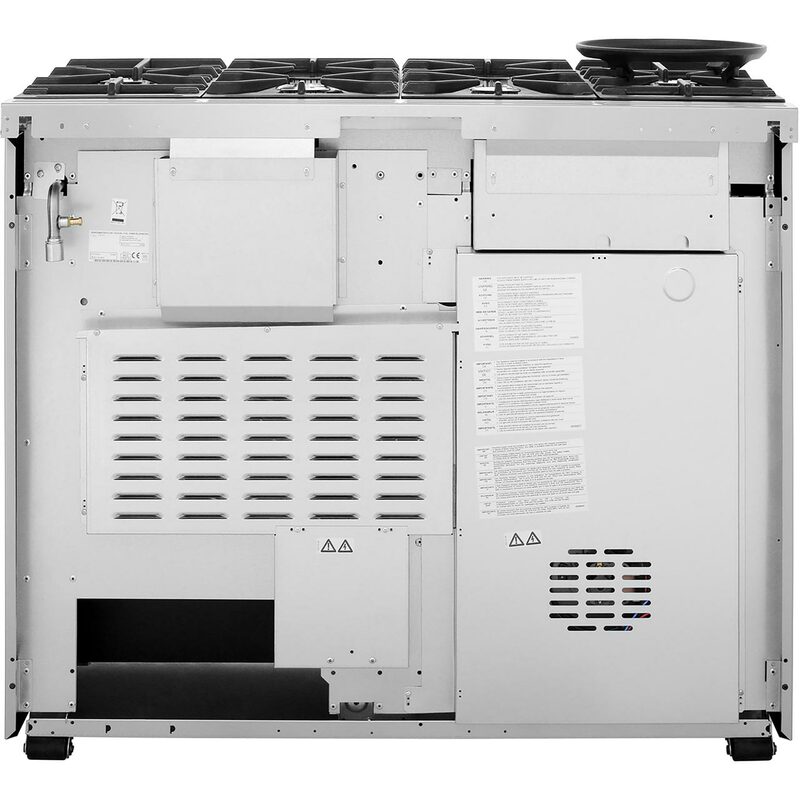 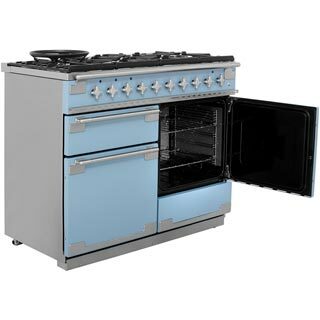 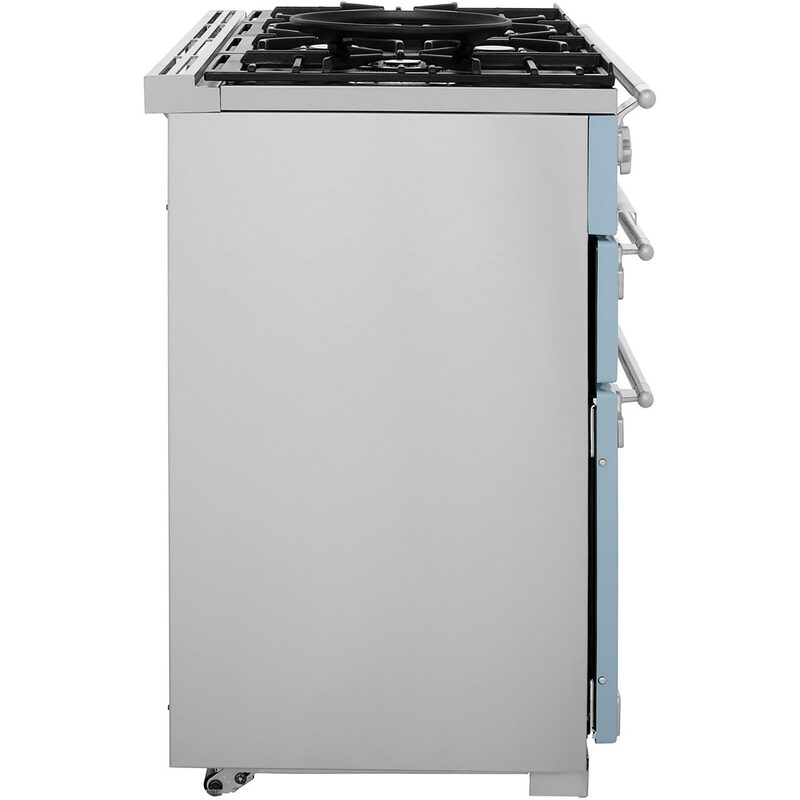 The second oven is fanned and ideal for baking and roasting with its even heat distribution. The gas hob contains 6 burners including 2 large wok burners to accommodate larger pots and pans, so there’s no limit to your cooking options. 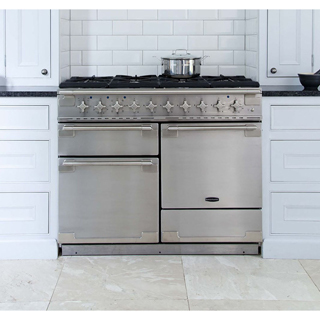 You don’t need to worry about cleaning either as both ovens have self cleaning catalytic liners. 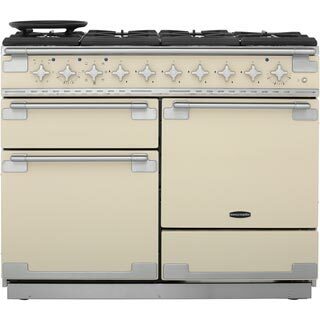 "The Elise cooker really is special. 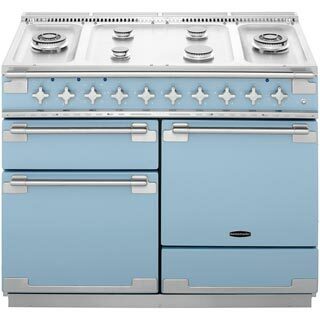 As it is made to order, I had to wait a while to get it but it was worth the wait. 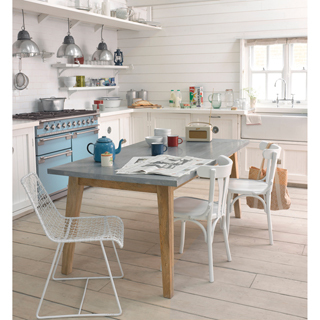 The colour, cream, was not stocked anywhere locally, so I hadn't even seen it until it was delivered and I was somewhat relieved that the colour fits in with my industrial/country kitchen, being a somewhat muted cream, rather than shiny and bright, which would have looked cheaper I feel. 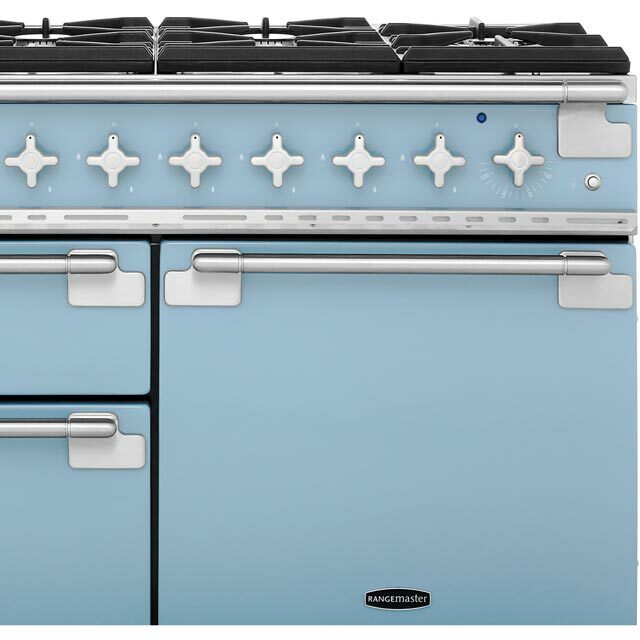 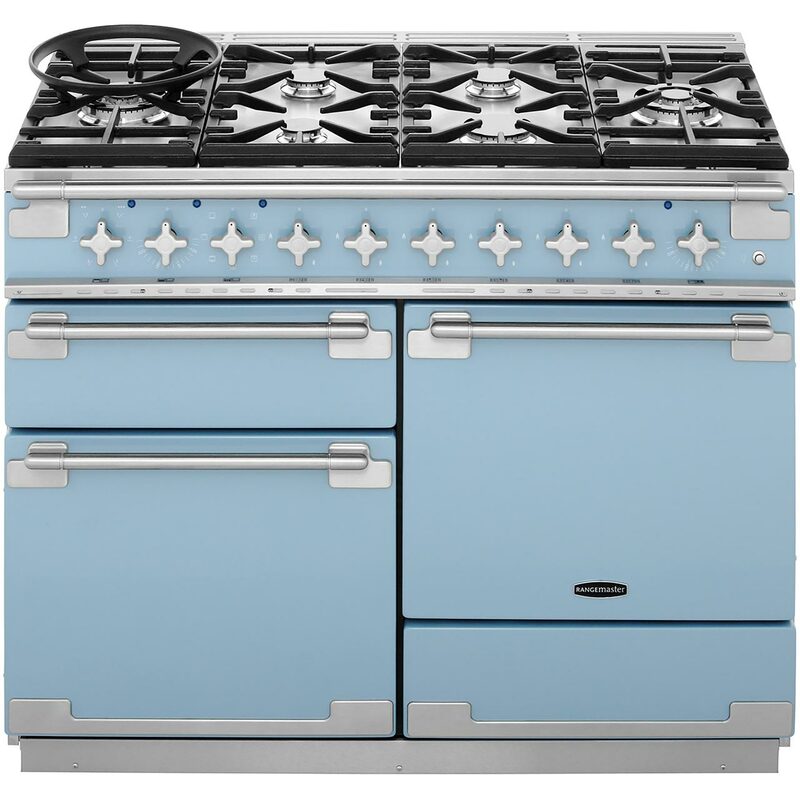 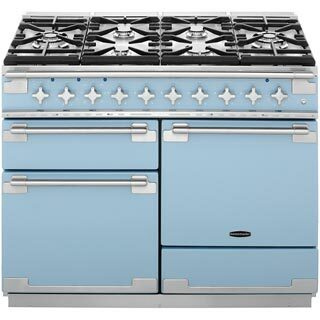 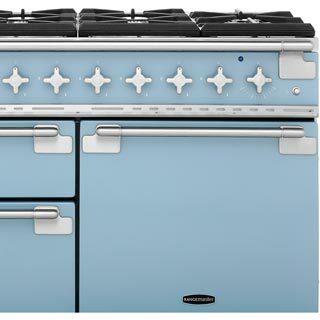 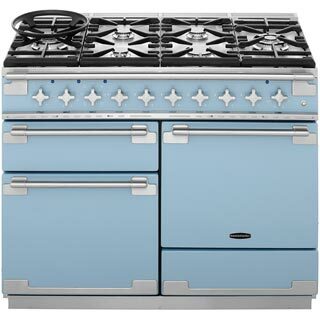 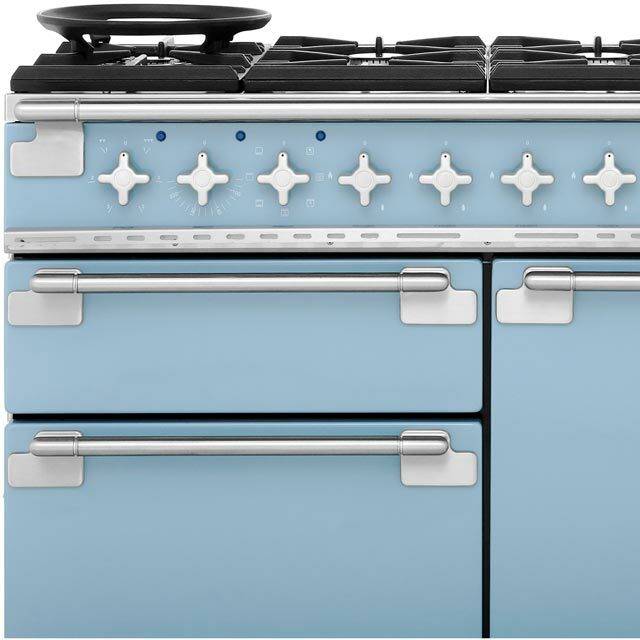 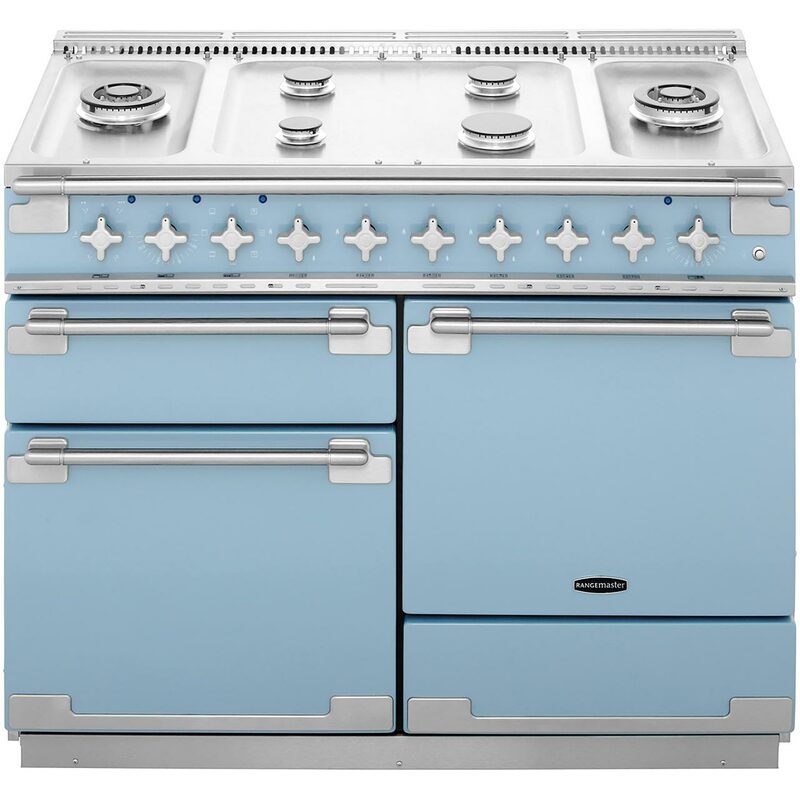 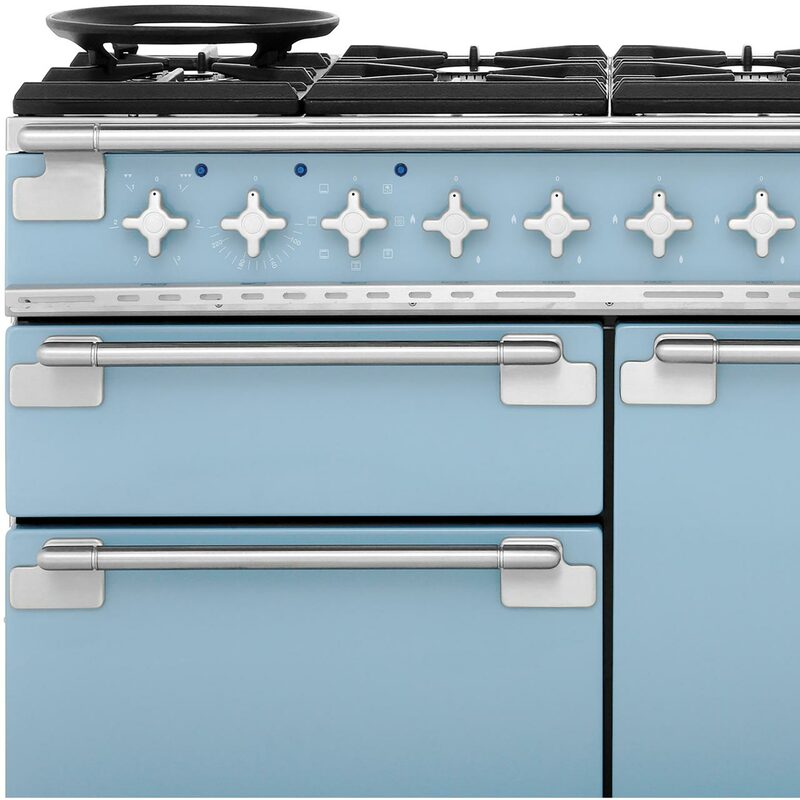 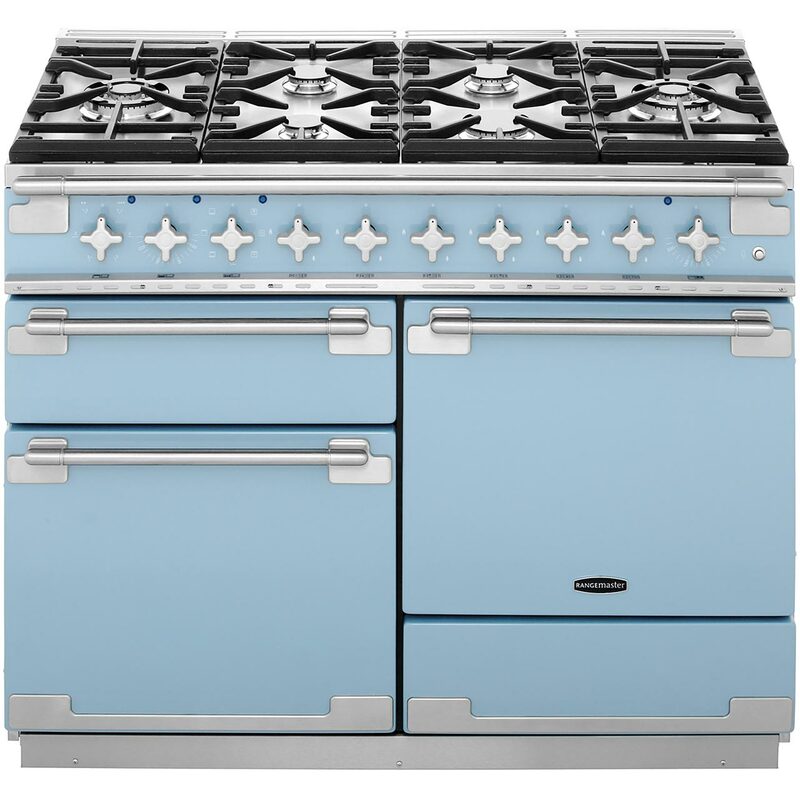 The brushed nickel knobs feel expensive and the ovens and grill are quick to heat and easy to use and clean. 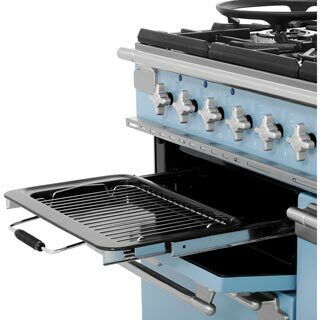 The only major problem I had was that the wok burner is on the outer sides, so with the wok pan on top, it would not fit in the fireplace alcove with a pan in place. 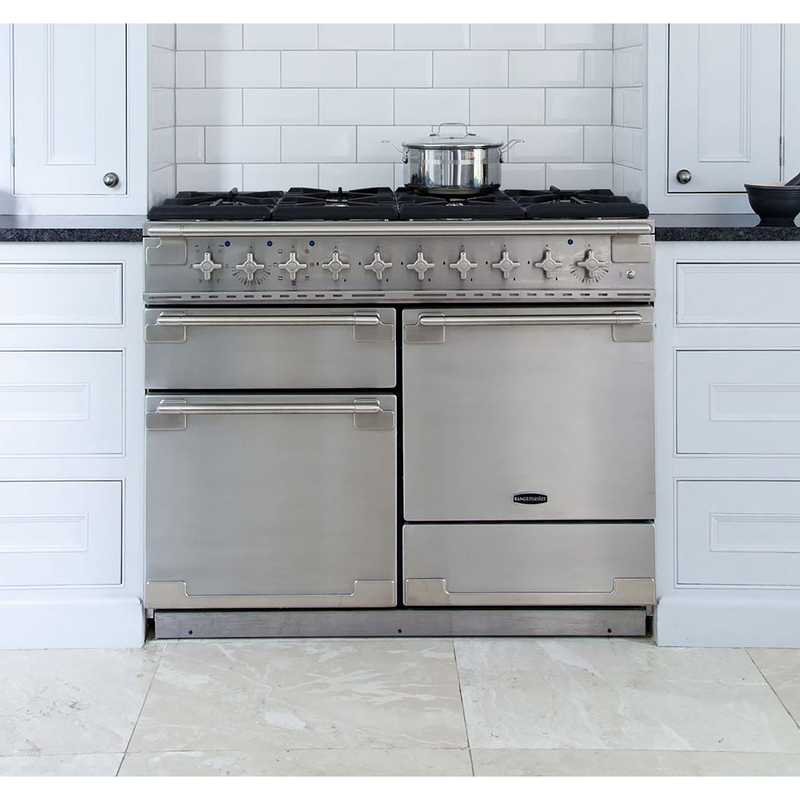 We solved this by bringing the cooker forward a little, so it sits out of the fireplace, which looks fine and we now have a small shelf behind the cooker which is actually quite useful. 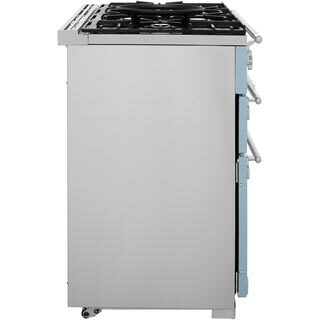 Bearing this in mind, make sure you have room at the sides of the cooker for the wok. 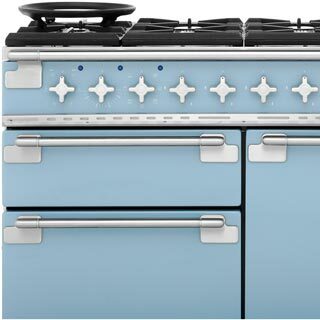 A minor problem is that you have to keep the knob down for a little longer than I would have anticipated, before the gas burners remain ignited but I have got used to it now but it can be a bother when you are in a hurry. 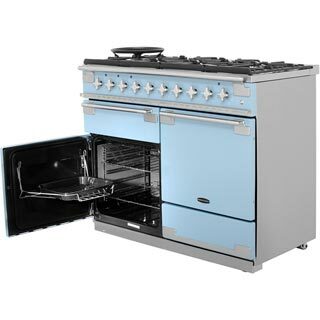 76 of 76 people found this review helpful.